This product is now obsolete. See the GasAlert Extreme for Ammonia detection. Please note: this product is now obsolete. Contact us for more information on support for this item. You can view the GasAlertExtreme monitor for Ammonia NH3 here. 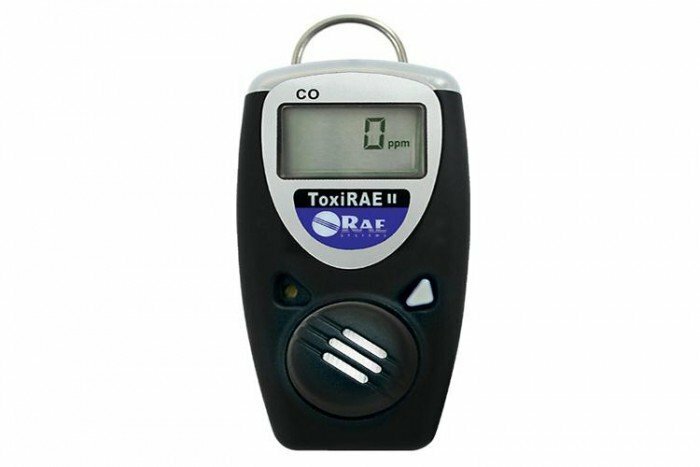 This ToxiRAE II Ammonia detector from RAE Systems is a full-featured single gas detector with a range of sensors available for multiple applications. It’s full-featured, compact and lightweight monitor and is also intrinsically safe, ensuring that the detection of NH3 gas is carried out safely. You can be assured that the stainless steel alligator clip installed on the monitor will securely fasten to your hardhat, shirt pocket, shoulder strap or belt with ease. Asides for its cost-saving benefits, the ToxiRAE II is packed full of features tailored to detect and alert you to the gas the sensor is specified to detect. It does so via 3 distinct alarm types: audible: 90dB at 10 cm, visible: Bright red/green LED bar visible from top, front, and sides and sensory: built-in vibration alarm.